Happy Monday! It's a sleepy, exhausted Monday morning for me. I have a paper due at noon, and even though I meant to get it done while I was home for Easter, it just didn't happen. Last night turned out to be quite a late night of writing. I will say it was worth it though to have a relaxing weekend at home to celebrate Easter. I'll share a few highlights of the weekend with you. My Thursday plans with Cuties A and B were cancelled, because Cutie A got sick. It turned out to be a blessing in disguise, though, because Thursday my sinus infection was in full force. Thursday and Friday I just spent time relaxing and recuperating and was able to start reading The Help. I love it so far and am already on page 259! Hopefully I'll be able to finish it soon despite all my upcoming projects, papers, and tests. Saturday, Cutie A and I were both feeling much better and I got in some much needed time with Cuties A and B. Cutie A has started playing lacrosse and her practice is right around the corner from my house. I got to watch her practice and scrimmage! Ignore my crazy hair, it was quite windy! Cutie A then went with me on some errands. That night the "Cutie" family invited me to go to a Flying Squirrels game. The Flying Squirrels is a minor-league baseball team that just came to Richmond last summer. The wind cleared up, the sun came out, and it was the perfect night for a baseball game. We started with dinner at Kitchen 64 and then headed to the ball game! Our seats were right behind 3rd base! We were happy after lots of peanuts and funnel cakes! It was an exciting and close game. The Squirrels were up against the Altoona Curve and had to play 11 innings! Ultimately, the Squirrels won 3-2! Sunday morning, I woke up to a lovely Easter basket. My basket is really special to me because it was made for me when I was just a baby by a loved one who I liked to call "Tricky Nikki" when I was younger. Contents: lovely new pajamas, Waiting for Superman, lots of candy! We had brunch as a family at Strawberry Street Cafe. It was a particularly emotional Easter for our family, because today would be my grandfather's 88th birthday. He passed away about two and a half years ago and was one of the kindest, most incredible men. Above all, he had the greatest faith in God. He never missed mass and always said our blessings at meals. It was definitely hard not having him there for both Easter and what would have been his birthday, but we managed to keep the day upbeat and fun! Strawberry Street Cafe is known for their bathtub brunch bar. My dad and I have always had a tradition of ordering French toast to share. We both order whatever we're having for brunch, and then add a separate order of French toast to split. Yesterday was no different! All of the plates had a strawberry on them! Sadly, we didn't take as many family pictures as I would have hoped, but here are my favorite two from the day! You looked so cute on Easter! You have such a lovely family. I love that they served brunch in a tub - thats freaking cute! I'm sorry you've been sick. Just this weekend I got a head cold, and I feel like everyone I talk to is going through the same thing - something must be going around. Look at you cutie patootie!!!! Looks like you had a blessed weekend. I am so glad to hear your thoughts on The Help. Anyway, I may get it now that I hear how much you love it. I hope you have a great week and get all your school stuff done, stressfree! Sounds like a wonderful weekend! I'm a little jealous of that Easter basket :). Hope you get an 'A' on your paper. I remember my best papers were usually written at 3 am! Have a great week hun! You are so adorable! I love how your energy just radiates in your posts and in your pictures....and the cuties a.b. and you are c. is just adorable!! My son is a big lacorsse players...and would love to play for UVA! Your Easter dress is so cute! Love that you still get an Easter basket - I do too and I think it's so fun! Sometimes we never have to grow up, right?!! Um, I need those pajamas! The Help is my next read! Happy Easter! I still get an Easter basket too! Your Easter sounds wonderful, that food looks amazing. I am always up for french toast. Btw, The Help is amazing. You should get the audiobook~it is soooo good! Great Easter! The Help is my most favorite book of all time! You will have it finished just in time to see the movie!!! Yea! As a teacher, I feel it is so important to make it happen for these kiddos. Waiting for Superman just had a flood of emotions going through my body. What a great family Easter!! 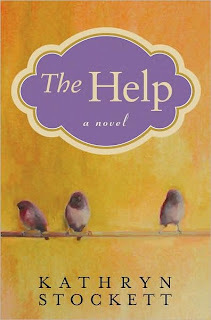 I have heard great, great things about The Help - hope to read it when I finish The Girl with the Dragon Tattoo series! Looks like a fantastic Easter weekend!!! So glad you and Cutie A are feeling better! Happy Monday! good luck on all your work! Love your Easter dress! That brunch looks so delicious too! Aw this looks so good. How clever to have a bathtub buffet. Those kids are seriously adorable. It looks like you had an awesome weekend. OH and I'm loving that we are the same personality type! We have too many similarities! Unfortunately I couldn't go home but I made up for the meal part of Easter by cooking constantly - brunch was pancakes, bacon and deviled eggs! I read The Help in 2 days! It is that good! I'm glad you had a great Easter!!! Too cute! Glad you had a wonderful Easter holiday. Love the picture of you and your parents. Looks like a perfect Easter weekend! Love your pictures! THE HELP is absolutely one of my favorite books! You look great in your pictures--perfect choice for an Easter dress! Love your Easter Basket and PJ's. LOVE LOVE LOVE The Help. Lots of credit to you for reading for pleasure while still in school. The Help is SUCH a great book! I'm already excited for the movie to come out! 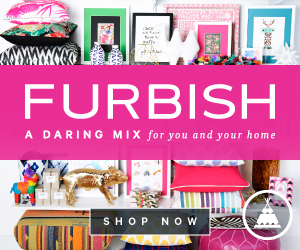 Sounds like you had a fabulous Easter weekend ~ loving your Easter dress! 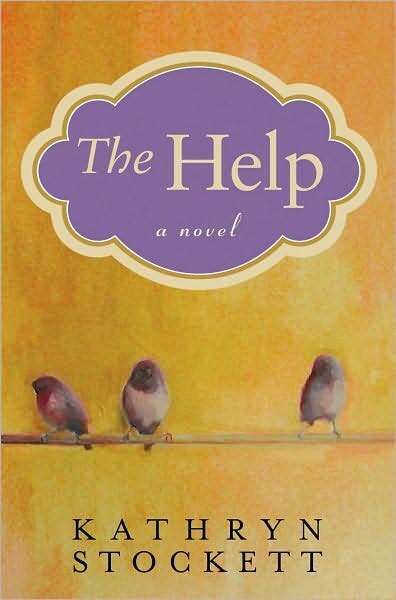 The Help is one of my favorites ~ it's an easy and fabulous read. So glad you had such a nice weekend! 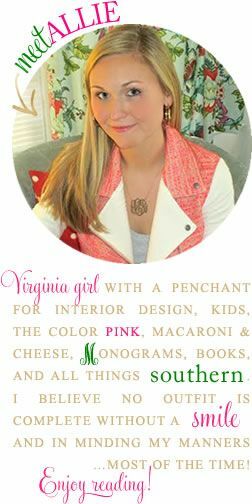 That book is amazing! I'm so glad you had a great Easter! Love the bathtub brunch.